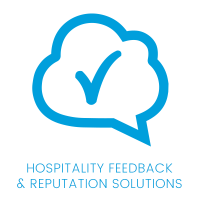 Through automated guest surveys, review collection and consolidated reporting, we help busy hospitality professionals to listen, learn from and earn from their guests (request a demo on our website, linked below). GuestRevu is focused on making your life easier and saving you time with TripAdvisor and Google integration, instant notifications and much more. With aggregated guest, property and competitor reports, you have everything you need to make data-driven operational decisions so you can meet and exceed expectations. Its a great and easy way to manage your guest satisfaction. Easy to use and understand, quick integration and very helpful staff. Software is very easy to implement and use. Provides invaluable feedback from guests on a continuous basis. It is simple enough to use and implement. It adds to your time where often technology if too complicated can steal your time. Good friendly service, always willing to help. Issues get resolved within minutes. Survey questions can be altered according to your needs. Easy and simple to navigate, and if you struggle with anything just ask the support team - they respond quickly and sort any issues out within 24hours (or less). Love that it is linked to TripAdvisor, allowing our guests to rate us on TripAdvisor nice and easy. Good tracking tools and reports as well!! By far the best guest review system I have worked with! It's quick, easy to use, customer friendly and allows guests to say what they think in as many or as few words as they want. It gives a great platform to measure consistency of performance and trends. The reporting is also very strong - easy to understand, customizable and powerful. It also allows one to set one's own parameters. I can gauge service of staff, even my own performance. I can liaise directly and immediately with guest to get more detail and give them feedback to ensure a positive goodwill. I can often prevent negative reviews on TripAdvisor. I can analyse who my market is. Quite easy to use and understand, uncomplicated. Great weekly and monthly feedback and reports. Very useful tool for our operations team. I really like the OOPS reports come direct to my email. The software allows for so many different reports to be shown which is very helpful. I also enjoy that we can post our reviews on social media via GuestRevu. Summarises everything so its convenient. Interesting reports. User Friendly. Everything on one platform which makes feedback easier to manage. It enables us to get feedback from our guests upon check out and improve on where needs be to ensure that out guests receive the best service possible. The reports generated are very helpful as well. We've been using GuestRevu for the past 4 years now. It has become an integral part of our guest feedback, relationship management and product development processes. The feedback we get from the software is discussed weekly in the resort management committees and from there specific issues are handed over to the various teams within each resort to monitor, action and provide feedback on. The integration with TripAdvisor is invaluable and we look forward to the coming updates. We appreciate that we can handle all the reviews in only one space. Very user friendly and wonderful reports. We do not only use this platform to create online reviews but most importantly, we use it to understand our customer experience (positive and negative in nature) in order to streamline operations, creating new and innovative ideas to stimulate our business growth and sustainability! Easy to use, great HUD, pretty easy to navigate around the platform (once trained and know how to use it.) Very smart system. Pooling together all reviews from all platforms is great and very convenient. I like the software because it gives an immediate overview if the client's feelings and comments. It also gives a possibility of a quick response to clients' needs. It is provides a very useful summary of all aspects of a guest's visit and their opinions which can be analysed to develop improvements in our service. It helps us to gain more TripAdvisor reviews (which are generally all very positive). If people have had a chance to air their (sometimes small) gripes directly they perhaps feel less inclined to complain in public. We get feedback from our guests,hear what they are saying about us and also we know where to improve to remain the preferred place to stay. User friendly and helps us to keep on top of our game. The fact that all online reviews are collected and collated in one place ensures that we are one step ahead of our competitors. Easy to use & very effective. As a hotelier you get to know what your guests think about the services provided in your property. Feedback received greatly helps in improving the problem areas. Reputation Management control and full overview: Overall control as a group that is about to launch into a New Hotel Brand. One benefits most through the opportunity of improving your service based on your guests feedback. Reliable system. Great dashboard and utilities. It was very easy to setup and the team was very helpful during the on-boarding process. We are now able to respond immediately and more efficiently to our guest feedback. the fact that we have a tool where we can gather useful information all together. The most useful aspect of GuestRevu is that it gives us direct and and actionable feedback that can be used to improve our business. Very professional and responsive company not just during setup but throughout the last six months since we have been actively using it. Software is easy to use and intuitive. Sheer volume of prompt feedback from guests where we can interact with them by reply, Very easy system for guests to use and dashboard is very clear so you can quickly pinpoint what areas need most attention. love the competitor analysis! The Guestrevu platform intercepts a guests review in order to obtain relevant negative information about problems they may have experienced. Positive experiences in the guest review is then published on the web. It really helps me as a service provider to concentrate on areas that need more attention without losing ratings. 1.To assist in Identifying guest problems to enhance the next guests experience 2.What are guest are expecting when staying. 3.Customer support is excellent, always keeps you updated and never keeps you waiting. 4. In this day and age TripAdvisor is key, with guest review it assists in our rating and what guests have to say about our hotel. Easy to review, perfect tool to gain the information required and easy to use. I like the fact that GuestRevu, is more personal platform rather than a all the other review search engines, and that we are more in control of our desired questions that are more relevant to ur property. Collecting reviews in a professional way. Amalgamation of reviews to look for themes in responses. 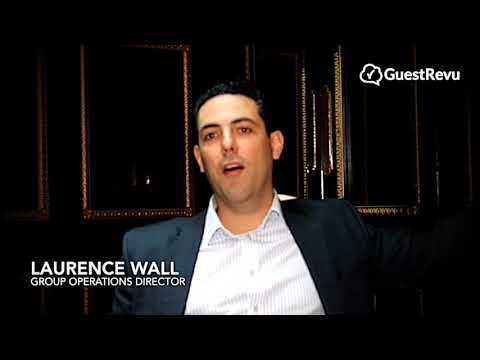 We have been very impressed with GuestRevu for both guest satisfaction survey and online reputation management. The integration with TripAdvisor is key for us and the fact that it allows us to track that all reviews have been responded to as well as managing actions that result from the collection of the scores. I like that i get up to date information as soon as the guest sends it. I appreciate that the guest can give as much written feedback as they would like and are not restricted by one or two lines. The simplicity of the report and the way it set up, is so easy to use. You have all your reviews in one place and you can tailor make your responses to reflect your business (this review was updated by the user). Have found this system invaluable to get guest feedback - both positive and negative - without having to first read about it on Tripadvisor. 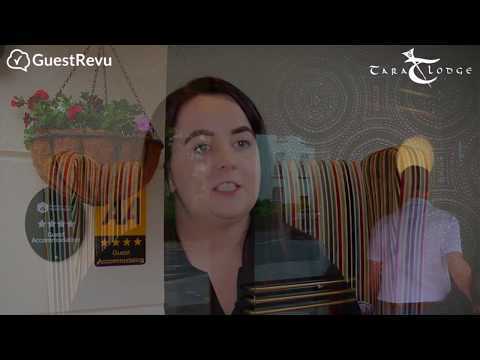 GuestRevu helps us as a business improve the number of reviews going to TripAdvisor, which in turn has increased our ranking, our customer feedback response has improved with better understanding of what our customers are experiencing at the hotel. GuestRevu are very supportive and if you need to refocus on an area they are there to help and support. It is easy and efficient hits the main points. Well some times guests are not willing to give their feed back and we miss it. We try to find how to make it done. Not easy. Breadth of information consolidated and the visual language it is communicated in. Simple and easy. TripAdvisor integration has vastly boosted our TripAdvisor stats. Local and always bringing improvements to the ease of the software. Program is reliable and gives great reports. Very easy to use in order to compare ourselves with our competitors and see exactly where we can improve or what our strengths are. 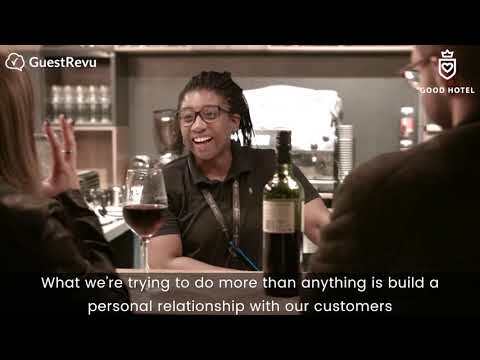 The Guest Revu team is a professional team who listen to all our requirements and make changes when necessary. Clearer direction on our internal strengths and weaknesses and identification on iproving areas of concern. GuestRevu has made our everyday customer feedback process so much more streamlined, easier to manage and gives us everything we need in a one place. The systems saves a lot of time for us and it also helps us to identify easily areas where we need to improve. Guestrevu gives us a great data about our customer's satisfaction, which enables us to analyse what our guests would like from us. Very happy with the service. We are solving any problems the guests have encountered before they have the opportunity to voice their experience on TripAdvisor. The biggest benefit we receive when using GuestRevu is that is it giving our guests a quick, easily accessible form of communication. "Easy to understand" dashboards. The hot alerts are an excellent way of high-lighting issues which we are then able to deal with quickly to remedy. The link to Trip Advisor works really well for us. This product enabled me to accelerate my goal of increasing our rating on Tripadvisor. We wanted to go from 4 bubbles to 4.5 and this has now been accomplished. Incredibly intuitive and simple to use system. Required very little initial set up, which saved us a lot of time. Staff training is very straightforward, never had to worry about manuals, SOPs or creating any additional material for team members. System as a whole has incredible capacity to crunch and present data in simple but powerful way. 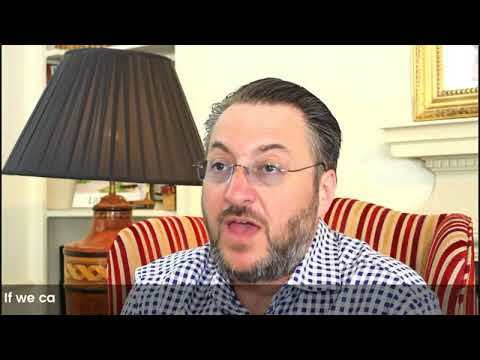 At the same time, GuestRevu allows us to take deep-dive into important aspects of our business. In real time. Complete Product in one place. Ease of access with the new product developments that we have seen in 2018. The interlinking of all platforms and reviews in one place is amazing. Thorough and effective. Love the scoreboards which it generates to show how we compare to other properties. Very easy setup, excellent on-boarding team and assistance throughout the process. Guest engagement with the survey has been much better than expected and very useful in terms of feedback and insight. Getting direct feedback from our guests through the GuestRevu platform has really improved not only the way we deliver services to them, but also our direct interactions with our very high level of repeat guests. It has also increased the volume of TripAdvisor reviews with the easy conversion from questionnaire to review at the end of the process. The Team at GuestRevu are helpful and always ready to go the extra mile. The monthly reports come in on time and are always helpful. I love the reporting , the numbers are clear and very easy to read . We have been using the insights for our clients , our buildings etc. I also love very the team which is always available for any requests , ideas , challenges . Thank you Francine, Suzie and Mark. Ease of access along with increased, in depth feedback allowing for staff in all areas to see visible and accurate improvements in service levels. Great dashboard and email overviews and quick engagement if required. Very forward thinking company. The product is very user friendly and the GuestRevu team are always available if you have any questions or if you aren't sure how to do something. 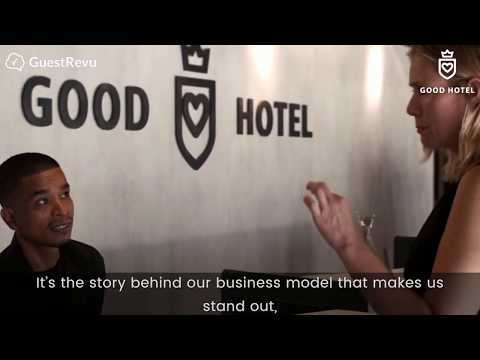 We use Guest Revu for over 20 of my hotels, this product is very easy to install, very easy to use and it provides us with great guest insights to generate revenues. The support provided is also very good. It is a tool that helps us improve, we get a feedback straight from the guests allowing us the opportunity to rectify any problems that may have arisen in their stay. Want to find a reference in your network who uses GuestRevu ?